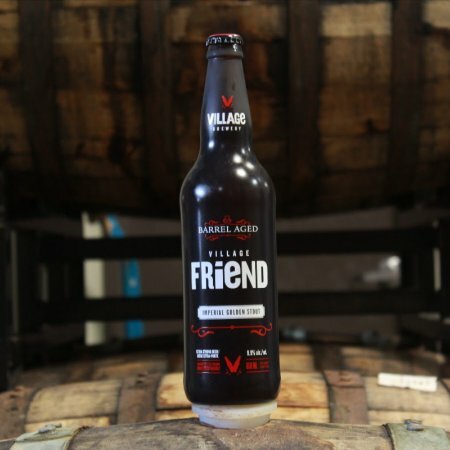 CALGARY, AB – Village Brewery has announced the release of a barrel-aged version of last year’s edition of Village Friend, a series of collaborative beers brewed to support the growth of small craft breweries in Alberta. This is a special Friend. One that we came to know with patience. It was carefully aged for months in French oak bourbon barrels. What it returned with was notes of cocoa, vanilla, and coffee bean. A rich and creamy stout, with a bold imperial finish. Our friendship has become better with age. Barrel Aged Village Friend 2018 is available now in a limited run of bottles at Village Brewery and select liquor stores while supplies last.